Cabernet Franc – wine sublime! I reckon most of our fans have got the message! Our first vintage from Paradise Rescued from the Hourcat Sud block in beautiful Cardan is a 100% Cabernet Franc varietal wine. In the Bordeaux region, this is rare – Cabernet Franc is normally a (small) part of the final wine assemblage found mainly in the “right bank” (north eastern side of the river Garonne). The significant exception would be 1e Cru Classé Ch. Cheval Blanc at St. Emilion where Merlot has a smaller percentage of the final blend. 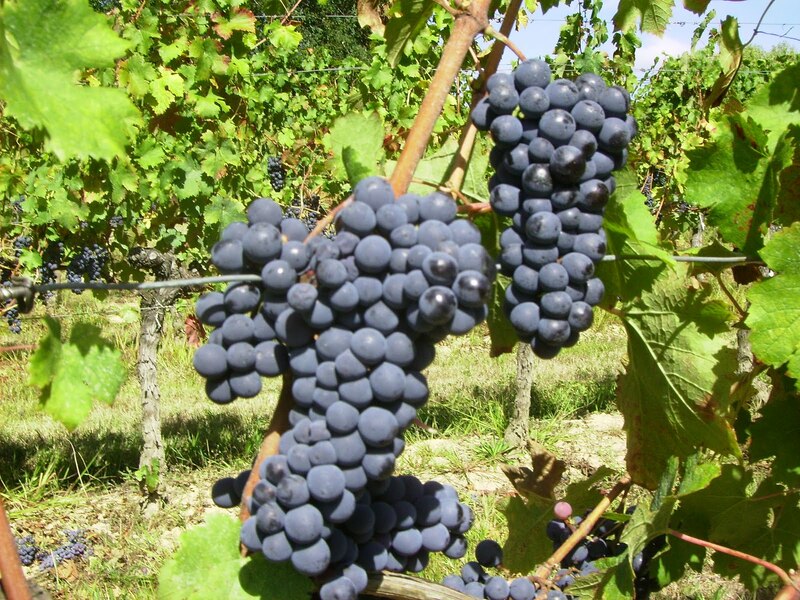 In cooler climates such as the Loire Valley (Chinon, Saumur), Cab Franc is widespread as a varietal. So effectively for the Bordeaux region, we are unique – as in many other aspects!! The question I often hear is: what are the qualities of a Cabernet Franc wine, what does a good bottle taste like? I thought this was a good question to answer before we publish our tasting notes in the very near future!! Firstly, Cabernet Franc is lighter than Cabernet Sauvignon. It makes a bright pale lightly pigmented red wine. It often has a pronounced aromatic perfume of raspberries, blackcurrants or violets and can have a strong green vegetal taste. It makes a very smooth easy to drink wine with low tannin content and good fruity length on the palate. The best description for a good Cabernet Franc based wine is “pure silk and velvet”! Cabernet Franc is an excellent wine to drink when eating cheeses, poultry, strong fish dishes and even pizza! Enjoy, but as always in healthy moderation. As a vine, Cabernet Franc ripens at least one week earlier than Cabernet Sauvignon and has less overall acidity. It survives cold winters better than Cab Sav but is more susceptible to late frost damage. The berries are relatively small, blue black in colour with fairly thin skins. Great to see you off to a good start with your blog and look forward to watching it evolve and grow. PS – off to check out your French experience, hope we see you at Cardan one day. It's magic. Welcome to my site investment advisor.